An onsite lecture on Malta’s greatest artist for over forty years, straddling the nineteenth and twentieth centuries led by Mr Mark Sagona. Meeting place Teatru Astra 9.00hrs. Giuseppe Calì (1846-1930), was Malta’s greatest artist for over forty years, straddling the nineteenth and twentieth centuries. 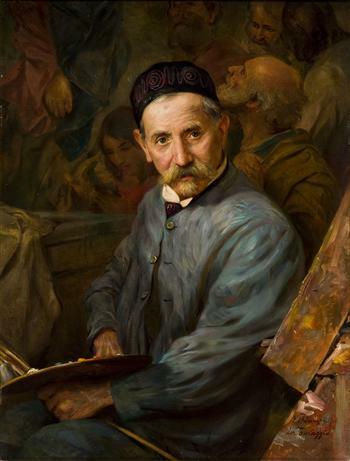 Working in a variety of fields, including portraiture, genre and landscape, his reputation was established through his numerous commissions of ecclesiastical decoration, which successfully combined a personal version of the Romantic with Neapolitan Verismo. In this on-site lecture, artist and academic Mark Sagona, will discuss a representative selection of paintings in a number of churches in Gozo, and will place Calì in his local and continental artistic context. Refer to events section of this website for further information.